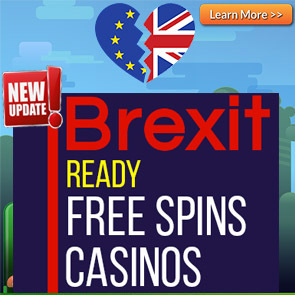 We have some brand NEW No Deposit Free Spins offers that are running from now until the 22nd of September 2018! Even though the football World Cup 2018 craze has taken over the promotional offers at many of our NetEnt online casinos, we’re not leaving our slots enthusiasts out in the cold. 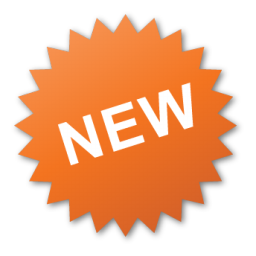 So here are a couple of great new No Deposit Free Spins offers at Glimmer Casino, Dazzle Casino, and Pocket Vegas Casino for you to enjoy! 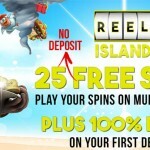 Below, we outline the various No Deposit Free Spins offers that are currently running. Remember to use our special bonus codes to claim your offers. Glimmer Casino is giving away 5 No Deposit Free Spins on the Secrets of Atlantis slot. Use the bonus code: 5SEAS to claim your Free Spins on sign up. Get 25 Free Spins on the Panda Pow slot on your first deposit of £/€/$10. Use the bonus code: 25POW to claim this offer. Dazzle Casino is giving away 5 No Deposit Free Spins on the Tacos Brothers slot. Use the bonus code: TACO5 to claim your Free Spins on sign up. Get 25 Free Spins on the Wild Toro slot on your first deposit of £/€/$10. Use the bonus code: WILD25 to claim this offer. Pocket Vegas Casino is giving away 10 No Deposit Free Spins on the Starburst slot. Sign up for a new casino account at Pocket Vegas Casino to claim this offer after registration. Get an additional 50 Free Spins on the Starburst slot on your first deposit of £/€/$10, as well as a bonus package of £/€/$500. The above offers for Glimmer Casino and Dazzle Casino are valid from now until the 22nd of September 2018 (23:59 GMT). Wagering requirements are set at 50 times. Free spins wagering requirements must be met within 7 days. Deposit bonus offers are valid for 30 days. 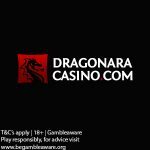 Maximum withdrawal amount for No Deposit free spins winnings is £/€/$20 after wagering. Players residing in these countries are excluded from receiving any of the offers mentioned above: Belarus and Romania. The above offer for Pocket Vegas Casino is valid until further notice. The wagering requirement for the No Deposit free spins winnings is set at 100 times. Deposit bonus offers are valid for 28 days and the wagering requirement is 30x, 4x conversion.